Today, mobile network has become an integral part of our lives. We cannot imagine our day without using our mobile phone. It helps us staying connected to our near ones and colleges. These play a huge role in running our businesses. Almost every day’s useful gadget is replaced by our cell phones. We can connect on different channels with our family and friends with the help of this little wonder. We are completely depended on this small device when we travel for pleasure or business. Our mobile not only connects us to the outside world via text or calls, we can also access internet on it. So a mobile device with good quality signal can do wonders for us. With the expansion of mobile technology and new innovations being introduced we have started to face challenges as well. Mobile signal congestion and signal being completely blacked out are few of the issues we face today. There was a demand to find a concrete solution to these problems as these lead to missing important information and losing business. 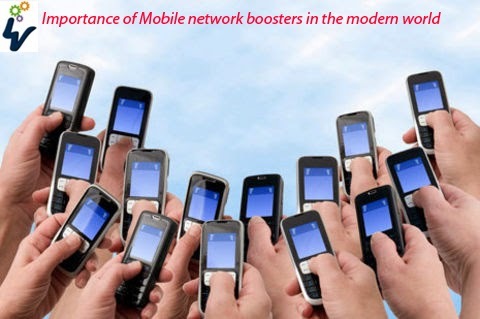 Some mobile technology engineers were working on such a device and came with the idea of Mobile network booster also known as mobile signal boosters. This small device helps in boosting the signals of an area in a house or office. A typical Mobile network booster packet comprises of a big antenna, a signal amplifier and an internal rebroadcast antenna. To receive signals from outside the big antenna is placed on one of the outside walls of house, where it can get clear mobile reception. Then the outside antenna is connected to the amplifier placed inside your house or office, to boost the signal. This further connects to the internal antenna to broadcast the signal. So when you receive a call the big antenna gets the signal and sends it to the internal antenna, with the help of amplifier this signal becomes strong enough to connect the call. Similarly, when you make an outgoing call the same amplifier boosts the signal and the big antenna outside transmits it further to mature the call. These devices have come a long way since their invention. Since then we have seen a constant improvement in its technology and functionalities. These are proved to have worked perfectly for both houses and offices. The requirements are different for both the places so it needs to be setup differently for each place. In some cases the installer may insist to inspect your place and suggest a custom made plan to meet your requirements. Call drops, slow internet connectivity, and weak cell phone receptions are everyday story. Choose the best cell phone signal booster, which can amplify weak cell phone signals up to 36X and deliver you uninterrupted connectivity and high speed data connection.